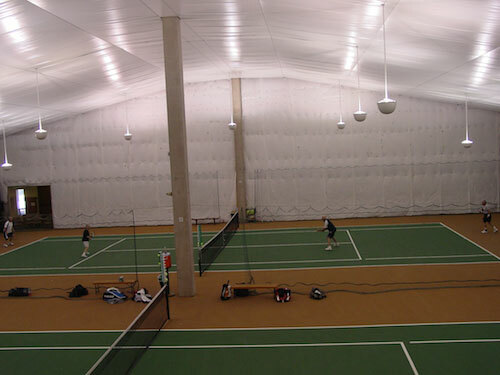 The Colorado Springs Racquet Club is the place to be for improving your tennis year 'round. Regardless of age or ability, the club offers excellent instructional, competitive programs for everyone. Taught by the finest instructors in the area, the instructional tennis lessons cover all aspects of tennis from beginning stroke developement to advanced stragegy and technique. Private lessons and group lessons are tailored according to the player's age, experience, and physical characteristics. In addition to instruction, the club offers extensive organized competition including men's and women's tennis leagues, tennis tournaments, and intercity team play. The junior tennis program is exciting and challenging for all levels. From beginning lessons, junior development and junior excellence programs to junior tennis tournaments, every junior will improve his or her game while having fun and making new friends.